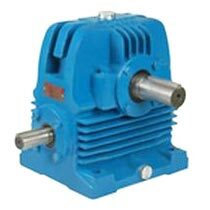 Worm Gear Box we Manufacture and Supply is in high demand in diverse industries. We supply a quality range of simple and rugged Worm Gear Box used in an extensive variety of applications like Wind Turbines. At every stage of fabrication we guarantee all the Gear Box components are subjected to rigorous quality control procedures. We are counted as one of the leading Manufacturers and Suppliers of Worm Gear Box.